Okay so let’s start out by saying I really hope Aerosmith does not come sue me over this. Steven and buds, if this steps on your trademark toes just holler at me and I’ll change the name. Unless you try them and like them, then let’s talk. Alrighty roo, here’s the explanation you’ve all been dying to hear when it comes to the name of these. Every time I say I’m making Aerosmith Potatoes people think I’m inviting Steven and the gang over. Which, let’s be honest, would be sort of cool. Here’s how they got their name. This was going back maybe 15 years or something like that, so my memory might be off and these are really AC/DC potatoes or something. I was reading an article while waiting in the doctor’s office, not even sure what the magazine was that I read. The article was an interview with Steven Tyler’s chef who cooked for them while they toured. The chef mentioned that Steven’s diet was tricky but he had a bit of a sweet tooth. 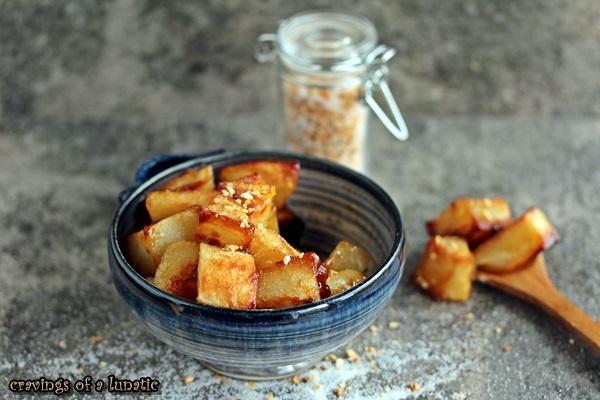 So she came up with a recipe using brown sugar in the potatoes to sweeten them. The brown sugar caramelizes and creates this amazing sweet layer on the outside. I was mesmerized by the article and thought to myself, hm, this chef is on to something. So I went home and played around with the recipe, and Aerosmith Potatoes were born. I’ve been making them for as long as I can remember. I tweak them here and there, and quite honestly probably never make them the same way twice. They are requested by anyone who comes over for dinner. The first thing I love about them is the taste. If you read the blog regularly you know I have a sweet tooth. These work for me. I also love that you can play with the amount of brown sugar depending on who is eating them. Another really cool thing about them is you can play with add ins. My absolute favourite way to do them is with shallots. Those are Dubbed Kim’s Aerosmith Potatoes. They are the most requested type. Most people love the extra caramelized taste of the shallots. Shallots are like onions and will caramelize beautifully in the pan with the Aerosmith Potatoes. I also do them with garlic, which are dubbed Vampire Aerosmith Potatoes. Those are my second favourite type. I also love them just plain with salt. Something about that sweet caramelized taste with a dash of salt playing against the sweet is spectacular. It’s a taste explosion, like fireworks at an Aerosmith concert people. You can also customize this by swapping out potatoes, I prefer russet most days. 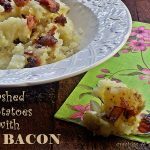 But red potatoes also work beautifully in this recipe. 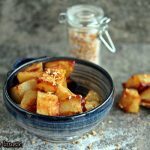 You can also cut them really small like home fries and reduce cook time, or use slightly larger cubes like these ones and do a medium cook time. Or you can do big, huge chunks of potatoes and cook them for longer like in my original post for Aerosmith Potatoes. You just adjust your cooking time depending on the potato and size you use. Another cool thing is you can cook them however you like. If you like to grill these cook perfectly on the grill. Great when you slide them in a pan with real butter and shallots, honestly you will have a life altering moment when you make them that way. You can also pre boil to save cook time. And another tidbit is you can adjust the time you put the brown sugar in depending on the level of caramelized taste you want. I like mine almost like candy so I pop the brown sugar on right away. My dad liked them just mildly caramelized so his I would add the brown sugar half way through the cook time. So as you can tell these are highly adaptable and wickedly addictive. Try them immediately and I promise they will change your life. The best potatoes in the world! No lie! Place the zest on parchment lined cookie sheet and cook for about 15 to 20 minutes on low temperature, about 150 to 200 degrees F.
Add the cooled zest to the salt. Mix well. Add roasted garlic flakes to the mixture and mix again. You can pop it all in a food processor and pulse it for a few seconds to really mix it well. 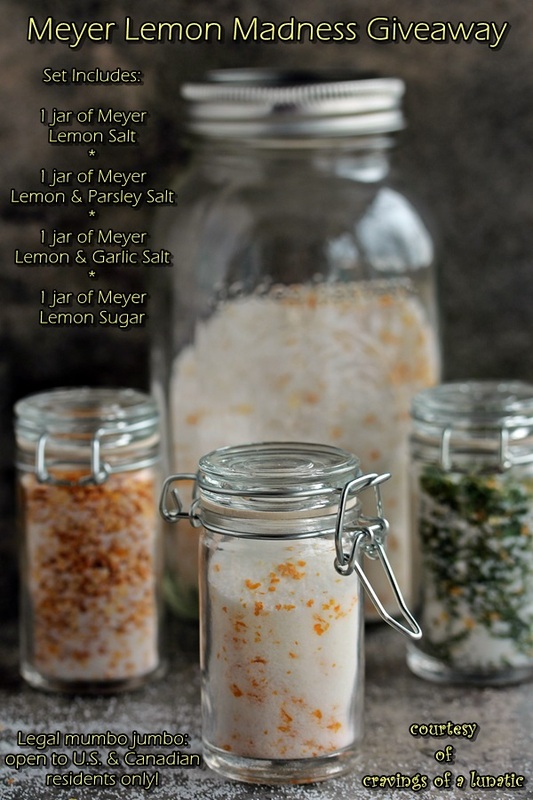 Store in a sealed glass jar, and use when desired. Preheat your oven to 400 to 425 degrees F.
In a large bowl combine all of your ingredients and mix really well. Allow to sit for a few minutes, then stir again. Pour the potatoes over the parchment and spread evenly. Place in the oven and cook for about 20 minutes, then turn the potatoes over. Place back in oven and cook for another 15 to 20 minutes depending on size you cut them. If you cut them very big it could take an extra 5 to 10 minutes to cook. I like to start checking at the 35 minute mark, and sometimes flip more than once to coat all sides well and cook all sides well. Serve with a big old I Love Aerosmith Potatoes smile! Rock on! Cook time varies on potatoes depending on type and size you cut them. Adjust accordingly. Gorgeous potatoes right. How many times in your like can you look at potatoes and think “gorgeous”, am I right. 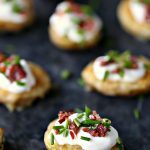 Now you can every single time you make these. Which once you taste these bad boys is going to be all the time. You will be making up excuses to make potatoes for any occasion. I wanted to do something fun and special for you all since I’ve been promising this post for quite some time and kept getting waylaid. So I thought I’d host a little giveaway. 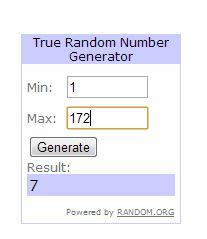 GIVEAWAY NOW CLOSED, WINNER HAS BEEN DRAWN! Open to Canadian and U.S. residents only! To enter all you have to do is subscribe via email. You can find a little pink box that says “subscribe and never miss a bite” at the top of the blog, the bottom of the blog and inside this post, just look up a little bit. Fill in your information, and confirm. All entries will be verified before contacting the winner. If you don’t confirm your entry will not count. You must leave a comment letting me know you did so. You can share this post any way you like, (ie, twitter, pinterest, facebook) and then stop by and let me know you did so. Just make sure you tag me so I can verify it was done. You can share multiple times if you like for extra entries but you must leave a separate comment for each share so each one gets counted in random.org. Draw will be made on Thursday April 18th at midnight. Winner has 48 hours to respond. Winner is Becca of It’s Yummilicious. Congratulations Becca! Stop back tomorrow to get the recipe for Meyer Lemon Sugar. Now go get your Aerosmith Potatoes cooking. Rock on! 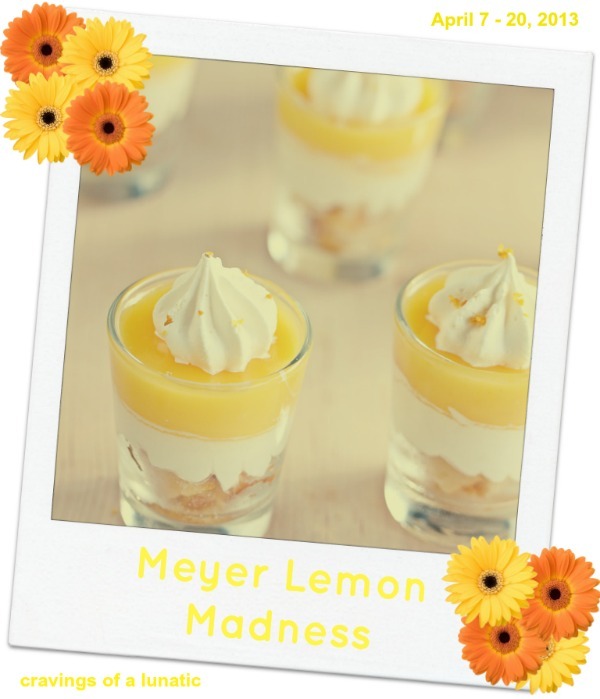 This post is part of Meyer Lemon Madness! P.S. If Aerosmith is reading this, please do not sue me. They’re just potatoes man! No harm intended. Oh wow…women you just made me drool with those potato pics! LOVE it…I can imagine the aroma and the taste! YUM! Thanks so much Sandra. Hope you try them out. Awesome lookin' taters, Bestie. Even though I secretly hate Aerosmith, I'd be willing to give these a try. After all, they're potatoes! Carbs, anyone? HECK TO THE YEAH! Lol, thanks Becca. So glad you did. Hate Aerosmith? My goodness woman really. It’s okay, I’m a country gal myself. I freaking love carbs. I swear I just need to rename the blog cravings of a carb lunatic. I subscribe by e-mail and I would love to win this! Love! Love! Love! Your BlogHer ad is covering the comment box! These potatoes look really good… love the story too–Aerosmith is one of my all time favorite bands! Weird, on my pc it looks fine. I’ll have my designer take a peek. I should have taken a screen shot to send you–I suspect the overlap happened because no comments had been published yet (I’m on firefox)–the name/email/website fields were completely covered, but I figured those fields were prepopulated anyway because I’ve commented here before. anyway that was the first time I’ve seen that happen. That’s perfect info. I’ve been checking different pcs but it’s super important it’s visible for the first person. I sent a note to my designer cuz it freaked me out. Thanks so much for letting me know and also which browser. I’m thinking we should tweak it to drop it down a bit so it isn’t an ongoing issue. It’s hard when stuff happens cuz what I see on my end isn’t what the reader sees. It’s a great reminder to check my blog from various computers and browsers for issues. Appreciate the heads up. I wouldn’t have even known there was a problem. I already subscribe by email, so I shared on G+! 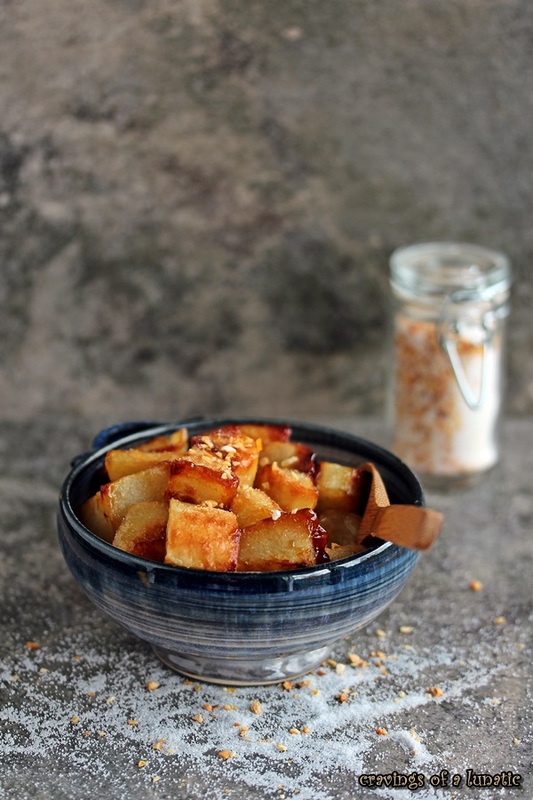 Okay – first off I gotta say the potatoes are ah-may-zing! Wowza, what a great idea! …and you KNOW I follow you via email! Cuz you’re awesome! Thanks Ann. These are by far my favourite way to do potatoes. …and I pinned this – I can’t wait to have them….I mean ..er… good luck everyone! You are just so cute, KimB! Thanks Colette. You rock too. PS-Steven seems like a really cool guy. Stop worrying about getting sued! I’m totally paranoid right now. Potatoes are my friend in all manner of attire and this one looks rather delectable. You never know, this could be the start of a beautiful, mutually satisfying relationship with Aerosmith. Lol Suzanne, I feel the same way. Very cool, we have no good thai places here. Sort of a bummer really. Hope you love them. I love this recipe! What a story! I subscribe via email! I love these potatoes! They look so crispy and caramelized. Thanks Maureen, they are so wicked good. I can never get enough of them. Great looking potatoes! And fascinating story – highly entertaining. I like versatile dishes like this – you never have to make it exactly the same way twice! Not that there’s anything wrong with repeating things, but I get bored easily, so I’m always changing recipes. Nice giveaway, btw. I not only subscribe via email, somehow I’m double subscribed! Lol John, the double thing is my fault. I’ll be addressing the issue to all my readers this weekend and coming up with a solution. I got some bad advice and made a mess when I signed up for Aweber. Hopefully I haven’t chuffed anyone off but I’m working on a solution I promise. Thanks so much. I love these potatoes. By far my favourite potatoes I’ve ever eaten. Off the charts good for sweet lovers like me. I loved to hear about your story on how these little potatoes were invented, sometimes it is smallest thing that gets your mind racing with culinary ideas. Sweet/savory is the new vogue so you are way ahead of your time. Thanks so much. It’s so true right, you hear one thing and them mind races. And lol, I’m a culinary marvel. 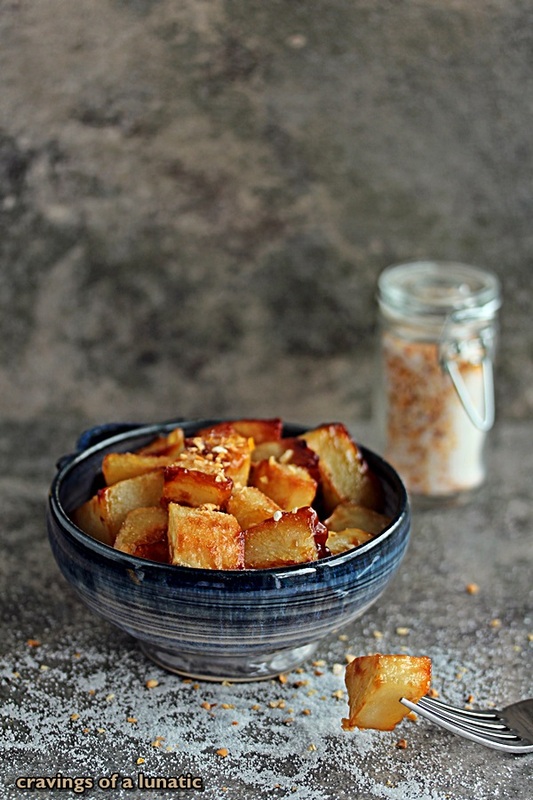 I follow you via email 🙂 And I LOVE lemon and potato combined- one of my all time favorite roast potato recipes (on my blog if you are interested) has whole slices of lemon roasted in with the potatoes, delish!!! Thanks Michelle. Lol, I have a recipe coming up that combines those with meat in the same dish. Made it a couple of weeks ago and cobbled it up so fast I didn’t take any plated photos. Only photos of it in the pan. I went to post it and was like ah snap, I got greedy and forgot to do my job. Lol. I’ll head over and peek. Love a good lemon recipe. I signed up via email – these look delicious! Will have to try soon! Oh how cool. I have a book that’s all celebrities and their horses, it’s my fave book in the world. Love stuff like that. 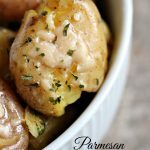 Love the potatoes and have to make them! Would love to win your contest..
Hi Charlie. So glad you like them. Let me know what you think of them if you make them. Good luck. Love the potatoes! They look good and I LOVE Aerosmith! Saw them in concert twice! Lol, I swear I really messed up my email system didn’t I…I’m putting up a post this weekend that will hopefully right the situation. So annoying I’m spamming people. Thanks. They are so good, I love making them. They do not reheat well though. I need to add that into the notes. Completely forgot to do that. How cool you saw them live. I’ve only been to Bryan Adams and I went to Bayfest last year which had Toby Keith, Brantley Gilbert and some other dude. Was fun. I love it 🙂 Brown sugar is just so versatile when it comes to potatoes. Also squash! Thanks Ashley, so happy you like them. I am such a huge fan of brown sugar. Cannot find enough ways to use it. I already subscribe via RSS and I just subscribed via email to see if email will work for me. Thanks. I love email myself. I subscribe to most blog that way. Great story. I wonder if Tyler’s dietary restrictions are due to some medical issues he’s developed since he was abusing “intoxicants” in the 1970s. If I recall correctly it said he was eating healthy. I almost vaguely remember then saying he either didn’t eat meat or he had cut back on it or something. Wish I had torn the article out of the magazine. I need to google it. Well, DUH, of COURSE I have already subscribed! I love your site! I can’t wait to make the “salt”…it sounds pretty damn luscious! Anyway, I’m ready to win the contest, so please count me in! You ROCK! And, thanks so much for the tasty recipes! Lol Gina. The salt is amazing. The potatoes rock. Good luck. My word, Kim. 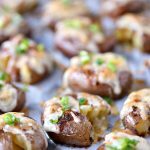 These potatoes rock (pun not necessarily intended)! 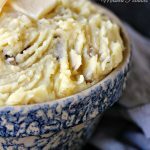 I’ve pinned this recipe three times, shared the post on Google+ (tagged) and I’ve subscribed to your lunacy because my dear, these potatoes are crazy good. Oh my gosh Brooks you rock. Thank you. I love these potatoes. 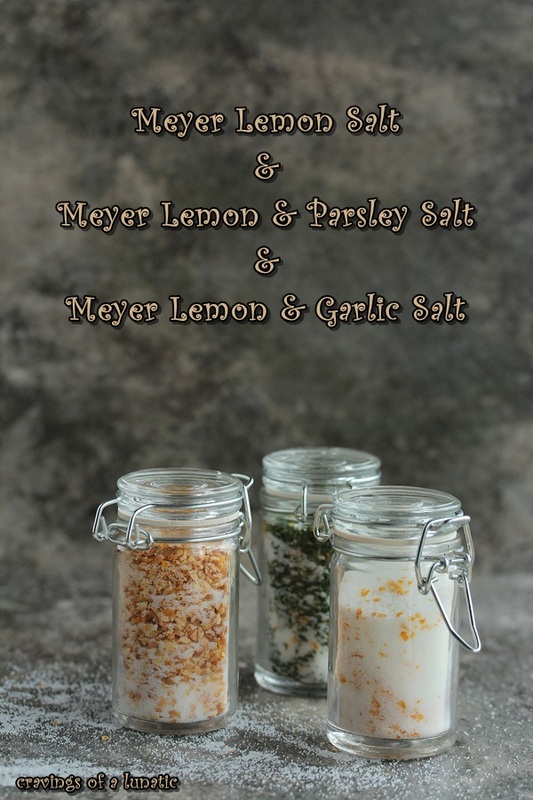 They are my go to recipe for dinner guests. The only downside is they don’t reheat well. But that’s sort of an upside in disguise cuz it’s a great excuse to eat the whole pan. Oh this sounds wonderful! So glad I found your site, happy to subscribe! So happy did as well. Nice to have you here. Awesome potatoes!! I’m a subscriber! I also shared on my Cindy’s Pampered Chef page, because these would so ROCK on our large bar pan! They would totally rock in that pan. OK, you had me at Aerosmith Potatoes (saw one of their first concerts in the school gym for 25 cents before anyone had heard of them). But a sarcastic Mom who likes to cook? My blog is about being a sarcastic Mom who likes to bake. I think we need to be friends. . . and I can’t wait to try these recipes. I read your blog name and at first I thought it said bakingintoronto and I was like “hellz yah” it’s another Canuck. But baking in tornados is even cooler than toronto so now I’m intrigued. I must stop by and stalk, er, visit you. Thanks for popping by. You’re on my “to stalk while eating popcorn later tonight” list. Thanks Cindy, I appreciate it. 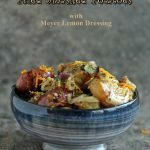 I love salty and sweet together, but I can’t say I ever thought to put brown sugar on potatoes… it sounds pretty darn delicious, though, especially with the added awesomeness of Meyer lemons! I usually don’t but with this I just dig it big time. You gotta them Izz. You will love them. Hope you are having a blast at FBC and hanging out with David. Just subscribed so I’ll never miss a bite! Yah, thanks Mandy. Love Pinterest. I am going to make the Aerosmith Potatoes tonigh! Yah, hope you love them. I am making Aerosmith Potatoes tonight! Yah, hope they turn out perfectly. I have been waiting for this recipe for so long! I can’t wait to try these. You are going to love them. So freaking good. I cannot wait to make these! I subscribed to receive email! Thanks JoAnne. Hope you love them. Hope you love them Paula. I’ve subscribed by e-mail and will never miss again. Thank you Christy. Good luck. I’m entering you anyway chickie. So good. Love these taters so much. Thank you so much Dolores. Not sure of the correct way for you to verify, maybe on the Website address? Hey Melody. For tagging on facebook you just use the @ before the person. So if you ever want to tag me just type in @Cravings of a Lunatic. Works for people and pages. Good luck. Not sure if I did the pintrest post right, but I did pintrest and mail. Une recette rapide à préparer et tu sembles dire que c’est une tuerie, pourquoi ne pas essayer si je trouve tous les ingrédients. 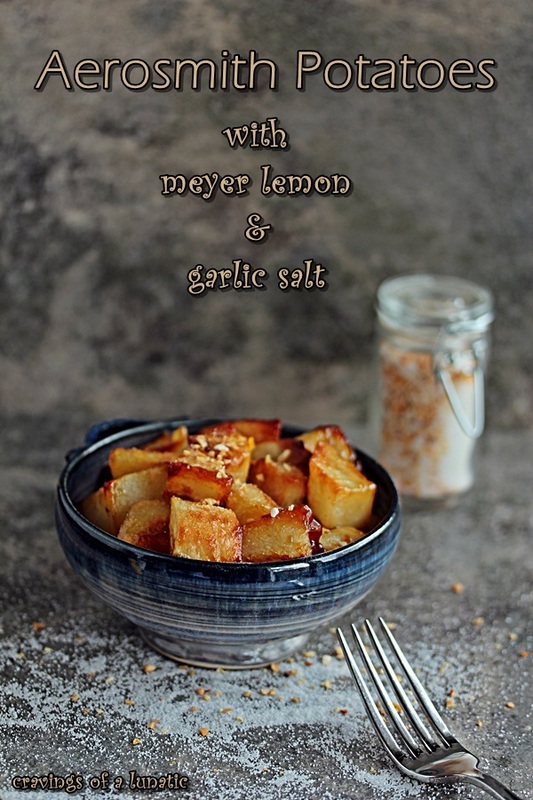 I love roasted potatoes and I bet they were extra delicious with that Meyer lemon garlic salt! The salt looks extra special good! Thank you so much. I love roasted potatoes. I already subscribe and these roasted potatoes look delicious! I posted your recipe in Pinterest.. The Potatoes look lovely! I already subscribe to your blog. As it says, “Never miss a bite” and I didn’t want to. Lol, so glad you subscribed. Welcome. Just to let you know that I pinned your ‘Potatoes’. that sounds really strange doesn’t it? Anyway I have also been following you on Pinterest as I didn’t want to miss anything. I am constantly drooling as I look at and read your articles. Yum! Thanks so much Marg. I love PInterest. Such a fun place to spend some free time. Ok, you had me hooked at Aerosmith. I’m not a big fan of sweet with my savory foods, but yeah, this sounds amazing. It’s about freakin’ time you shared the potatoes with us, too. Sheeh. You’ve been making them for 15 years and we’re just now hearing about them? Dude. I’m usually not either, like salt on fudge and stuff freaks me out. But this is omg good. I haven’t the faintest clue as to where I can get those lemons to make the salt, but I do so BADLY want those potatoes right NOW! I am in quite a pickle. Thanks for an awesome recipe, and if I do not win this giveaway, my hunt for Meyer lemons will begin. Hey Kim, if you can’t find meyers just use regular lemons. They work great. The meyers are just a little sweeter. Good luck with the hunt. We scored 10 bags the other day so there’s still some floating around. I definitely subscribe and did PIN this recipe immediately. Kim, I love these potatoes! The name, the crispy outside, the creamy inside–everything! I’d like to scarf down a gigantic bowl. Rock on! I scarfed some extra on your behalf. It was a sacrifice but, you know, I adore you so I forced myself to do it for you. You are so sweet, thank Jocelyn. These are my favourite side dish. Really good on the BBQ too. I love Meyer Lemons and this recipe looks amazing! I signed up and hope I win!! I already subscribe via email chickadee! And I REALLY want those potatoes for breakfast right now lol! I subscribed, and your recipes sound delicious. You should call them Tyler Taters. These are our favourite potatoes, bar none. I just love the combination of sweet and salty in these. It’s great to amp up with lots of shallots and garlic if you can handle the spice factor. And lol, it sure would be right. If no other reason than the man has wild fashion sense. Roasted garlic flakes??? Where can I get those, or how do I make them at home? These look AH-MAY-ZING! You can buy them. I have bought them at Costco, Meijer, Whole Foods, and some small spice stores. You can sub in any garlic in any form if you can’t find them. Fresh garlic works awesome too. We love these potatoes. They are such a cool mix of sweet with salty. Hope you love them.